Popular character actor-comedian Amol Bose died of a heart attack at a city hospital on January 23. He was 75. He left behind his wife, a daughter, two grandchildren and a host of relatives, friends and well wishers. Amol Bose was born at Boalmari in Faridpur in 1943. The veteran actor was preparing to go to Sirajganj to attend a cultural programme on the morning he died. For his notable performances -- in diverse characters -- in films, Amol Bose attained mass popularity. A busy film actor, Bose was equally familiar to small screen viewers. Starting off as a jatra artiste, the seasoned actor had made significant contributions to jatra, theatre, cinema and TV plays. While a student of class seven, Bose first performed in a school play, which ignited his interest in acting. Later, he joined a professional jatra troupe, 'Milon Shangha', in Boalmari, Faridpur. Bose came to Dhaka in 1963. Once in Dhaka, he became involved as a theatre director and performer. His direction of a Nurul Momen play, �Alo Chhaya�, was lauded by theatre enthusiasts. The then Finance Minister of East Pakistan gave him a gold medal for his performance in the play. Amol Bose continued theatre performances and direction for several years with theatre troupes 'Aboshor', 'Shaptorupa', 'Shaibal' and 'Rangdhonu Natya Goshthi'. Plays directed by Bose attained wide popularity at home and abroad. Over 25,000 London residents enjoyed �Siraj-ud-Daulah� and �Roopban� -- both Rangdhonu Natya Goshthi productions -- directed by Bose. Besides direction and acting, Bose has guided artistes such as Anwara, Rozina, Rajib, Prabir Mitra, Dildar and Sadeq Bachchu who went on to become accomplished film actors. Amol Bose started his career in cinema through acting in the film �Raja Sanyashi� in 1966. He acted in over 400 films. Moreover, he had directed films including �Keno Emon Hoy� in the initial stage of his career in 1960s. However, he could not continue direction. His performances in blockbusters like �Abichar�, �Neel Akasher Nichey�, �Sonali Akash�, �Mohua�, �Phulshojja�, �Rangin Gunai Bibi�, �Chandra Dwiper Rajkonya�, �Rajlokkhi Srikanto�, �Hothat Brishti�, �Ami Shei Meye�, �Tomakey Chai�, �Mon Maney Na� and others won him much acclaim. He was honoured with a National Film Award for his work in the movie �Aajker Protibad�. Amol Bose's most recent performance was in the film �Na Manush�, directed by Animesh Aich. He was to shoot for the film �Ek Cup Cha�, directed by Ferdous, after coming back from Sirajganj. Bose acted in a number of TV plays, since the initiation of BTV in 1964. His unique performance as 'Mahishashur' in Durga Puja-special TV plays are still remembered. 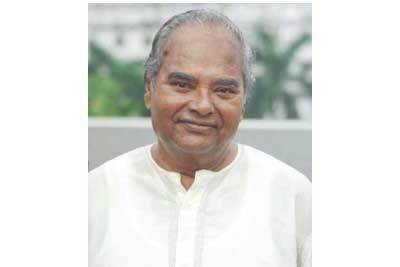 His regular skit, 'Nana-Nati', in the TV show �Ityadi� also attained hugely popularity. Bangladeshi filmdom, film organisations and personalities have expressed their deep shock at the demise of Bose. �This news comes as a shock to me. This is an irreparable loss,� said veteran actor Razzak. �Amol Bose was outstanding, not only as an artiste but also as a human being. He received a National Film Award for his performance in my film 'Aajker Protibad'. I'm praying for his departed soul,� said noted film director Chashi Nazrul Islam. �We lost a genuinely good person. Thanks to his unforgettable performance in the skit on 'Ityadi', Amol Bose became the 'national grandfather'. Wishing eternal peace for his departed soul,� said Hanif Sanket. �During the initial stage of my career, I acted in many plays directed by Bose. He was always cordial and cheerful,� recalled veteran actress Anwara. �Amol Bose was in very good terms with artistes from all age groups. This is a major blow to the film industry,� said renowned actress Babita. The artiste's funeral will be held today in Faridpur. If he was born in 1942, how could he be 75?!. RIP, nana! !